The world of omni-channel retailing seems to have come out of nowhere overnight, quietly subverting everyone’s ideas of ‘business as usual’. Today, both an ecommerce and marketplace presence have become the minimum expectation for an online and omni-channel retailer to even begin to be successful. While some businesses were early adopters and way ahead of the curve (often learning lessons the hard way as their business grew and the platforms developed), others are just getting started in the online and omnichannel world now. The problem for this latter group becomes which e-commerce platform and marketplace is best for your business? In this blog post, VL breaks down 3 e-commerce platforms and 2 e-commerce marketplaces for you to help your business make the most well-informed decision based on factors like functionality, price, and of course, ease of integration, so you can make your best decision possible before taking the plunge. While there are plenty of ecommerce platforms (at IRCE in 2015 there were over 80) out there for your business to consider, here are the top 3 from VL based on functionality, value for price, and ease of integration. Looking for other ecommerce platforms? Check out this great comparison resource! The leader in search engine popularity, Shopify is not only Ottawa, Canada’s darling, but it’s also a solid ecommerce platform for almost any business. With a variety of platforms suiting all levels of growth of a business, Shopify Plus represents Shopify’s enterprise level of software “without the headaches“. Shopify Plus is a fully hosted SaaS e-commerce platform that offers unlimited sales, bandwidth, and affiliated products, making it well-suited for a rapidly scaling business, or one that deals with large volumes of transactions. This means Shopify Plus users can integrate their existing applications to their preferred back-end technologies with the help of a certified Shopify Partner in the customized integration space (like VL) with confidence. Just like Shopify, Magento offers various levels of platforms depending on your business’ needs, size, and number of transactions. Magento’s Enterprise Edition parallels Shopify Plus’ in terms of flexibility, scalability, and functionality, including the ability to fully customize your use of the platform in conjunction with your existing technology via customized data integration solutions (like VL). Magento’s Enterprise Edition’s API and Partner Network make it an ideal e-commerce solution if your business is growing, scaling, or working towards either goal. If you haven’t noticed a pattern yet, an API and built-in scalability are absolute musts for your e-commerce platform’s functionality if you are looking for overall scalability for your business. These two factors are the bare minimum requirements for data integration experts like VL to come in and custom design your data integration solution. One main difference between Magento and Shopify is the price point. Magento is well known for being a more ‘top shelf’ product, while Shopify is more economical in comparison. 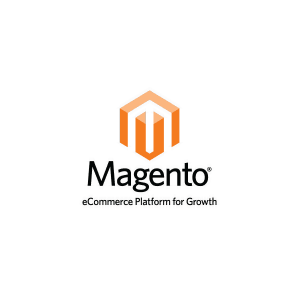 Magento has a strong developer network, and tends to be used by larger, more established companies who need more detailed control over the functionality of their e-commerce platform. Where as Shopify tends to appeal to the budding entrepreneur, companies like Tesla and Budweiser! Bigcommerce is hailed as “the cleanest dashboard and clearest directions […] next to Shopify”. The pricing structure for Bigcommerce’s Enterprise edition is similar to that of Shopify and Magento’s, with Bigcommerce categorizing Enterprise users as those who are making $1 million or more in online sales per year. Spanning the two worlds between plug-and-play and customized data integration solutions, Bigcommerce might present a good option for those businesses looking towards scalability, but who are just starting to encroach on the Enterprise level revenue targets. Ecommerce Marketplaces can be a great starting out point for your business online, or a robust addition to your already existing omni-channel retail ecosystem. Read on to see VL’s top 2 Marketplaces based on cost, functionality, and data integration. Amazon has three broad categories of sellers: Individual Sellers, Professional Sellers, and Vendors. To learn more about the different levels of Amazon sellers, stay tuned to VL’s blog for our Amazon How-To Guide, scheduled for released at the end of January 2016. The advantages of selling through Amazon in any one of these levels is the flexibility included in the world-class marketplace in terms of scalability and data integration options. Amazon’s API and EDI specs make it very easy for customized data integration experts like VL to tie it in to your existing technology stack. eBay is another e-commerce marketplace that VL will be profiling in the coming months as part of our new How-To Ebook Guide series. eBay represents perhaps the easiest first step for start ups looking to begin selling online, as their various program levels and associated costs can be very affordable. For the most effective use of eBay for your business, you should strongly consider integrating your various applications directly with eBay, ideally through VL’s hub-and-spoke methodology. Some smaller companies, start ups, or companies with only a few SKUs and limited sales can consider plug-and-play integrations or the portal, but any company selling into any of eBay’s high volume categories will have to consider customized data integration solutions. These scalable, robust integration solutions are made possible though eBay’s API.